CHURCHILL, WINSTON. 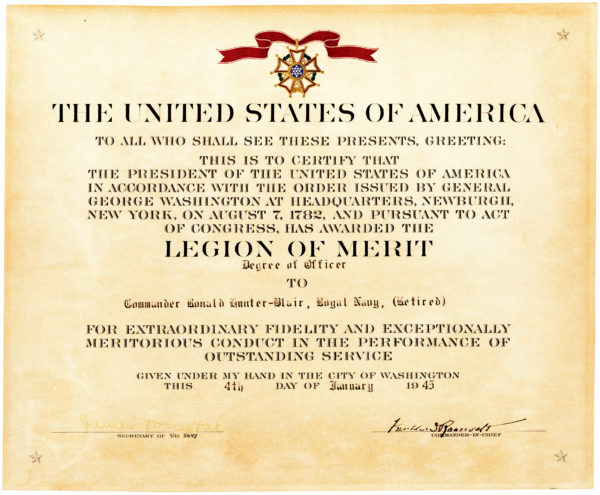 (1874-1965). British statesman, author and prime minister from 1940-45 and 1951-55. Image Signed. (“Winston S. Churchill”). 1p. Folio. (Approximately 9¾” x 12”). N.p., N.d. (Dated on the verso March 20, 1925 in an unknown hand – possibly Kastor’s). Original pen-and-ink bust drawing signed by French artist Robert Kastor (1872-1936). Churchill distinguished himself as a soldier, author, and, under Stanley Baldwin, Chancellor of the Exchequer. 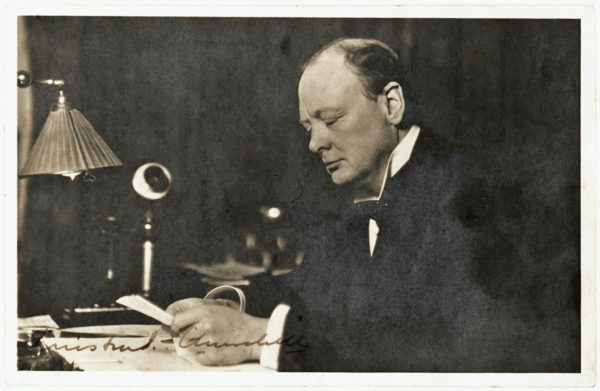 In that post Churchill returned England to the gold standard, which led to increased unemployment and a growing unpopularity that culminated in his 1929 election defeat. Although he spent the next ten years out of office, he remained active in public life and, in 1939, when England officially declared war on Germany, Churchill became First Lord of the Admiralty, the governing body of the Royal Navy. He rose to the height of fame as England’s prime minister during World War II. 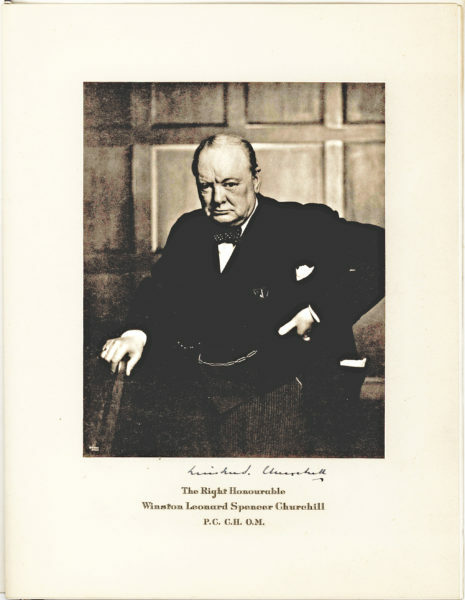 From 1945, when the Labor party regained power, until 1951, when a Conservative victory again made him prime minister, Churchill continued to write and champion the cause of British security and world peace. 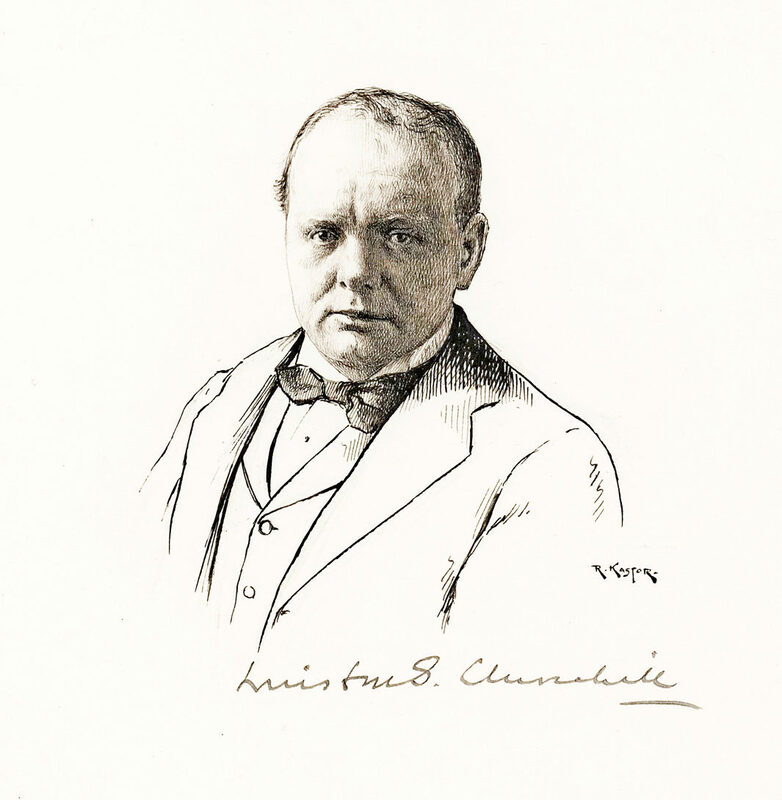 He is the author of the six-volume The Second World War, A History of the English-Speaking Peoples, and Marlborough: His Life and Times, among many other titles. On March 17, 1925, Churchill met with several men at dinner to discuss the possible return of Britain to the gold standard. Chronicled by Sir P.J. Grigg as Churchill’s “famous dinner party,” in his Prejudice and Judgment, 1948, Churchill concluded on March 19th or 20th that Britain should take this step that Churchill later regarded as one of the biggest mistakes in his life, (The Return to Gold: the Formation of Economic Policy and its Critics, Moggridge, 1969). In excellent condition.